Despite its rich heritage, Greece has yet to make a significant impact on the UK wine market. The introduction of its wines into consumers minds and mouths has some considerable way to go, in part because of the legacy of the ubiquitous Retsina, which to some extent, shackles the growth of other wines. Fortunately, things have changed. Changes in both winemaking practice and vineyard management have altered dramatically since the 1960s - a 25% reduction in overall vineyard area has meant th at table wine production has decreased (and continues to do so) while the demand for quality wines is on the rise. Most of Greece's exports currently go to Germany and France, but imports to the UK are still relatively small. This isn't helped by the fact that Greece is probably the only wine producing country to the western hemisphere that is spending next to nil on the generic promotion of its wines. Thankfully, serious quality wines are being made by a growing number of producers and boutique wineries. These represent the best that Greece has to offer - indiginous varieties, modern techniques, palate provoking results. Macedonia (Naoussa, Goumenissa, Halkidiki), Crete, Peloponese (Mantinia, Nemea, Patras), Aegean Islands (Limnos, Santorini), Rhodes, Samos. 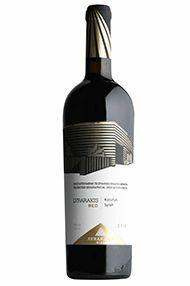 The Lyrarakis Red is a blend of Syrah and the indigenous variety Kotsifali. 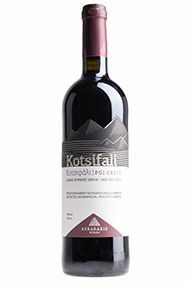 Here Syrah lends plush berry fruit and soft tannins to the blend, tempered by Kotsifali’s fresh fruit profile. A rich mouth-feel combines with smooth tannins, opulent fruit and peppery spice. The finish is long and defined with notes of toasted sesame and black cherry. A wonderful introduction to Cretan wine, this would pair well with grilled meats and hard cheeses. Ready to drink now. 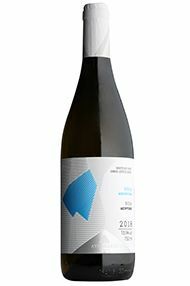 The Lyrarakis white is a blend of aromatic Muscat of Spina and Crete’s flagship variety, Vidiano. The aromatic intensity of Muscat, with its heady florals and grapefruit notes, is tempered by Vidiano’s more subtle and textural profile. At 12%, this is a light and playful white, perfect for lunchtime quaffing. 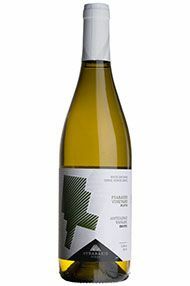 The Lyrarakis Psarades Vineyard Dafni is one of the most unique white wines you will ever taste. There are only 10 hectares of this fragrant grape variety in existence, thanks largely to producers like Lyrarakis who worked hard to bring it back from the brink of extinction. Dáfni is the Greek word for ‘laurel’ and wines made from this grape indeed exhibit a wonderful bay leaf aroma. 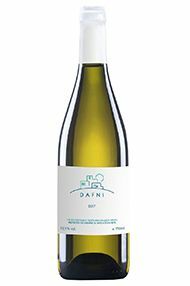 As with all Lyrarakis wines, this Dafni is wonderfully fresh and juicy with a creamy mouthfeel and underlining notes of lime and nectarine as well as a herbal, rosemary and bay tone. 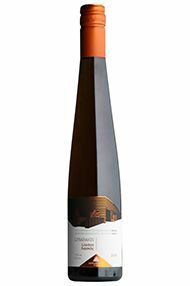 A very versatile white wine that would match with a variety of foods, including some of the more difficult ones like asparagus and artichoke. 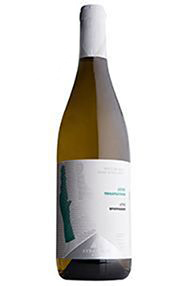 The family-run Lyrarakis estate has made a habit of rescuing indigenous grape varietals from the brink of extinction – first the remarkable, laurel-scented Dafni, now the equally characterful Plytó. 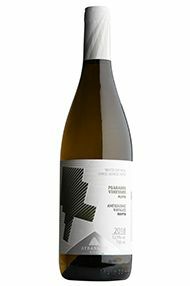 Grown in the spectacular Psarades vineyard, which sits close to 500 metres altitude, this is the only 100% Plytó in commercial production anywhere on the planet. It has a dazzling yellow hue and subtle aromas of white flowers and orchard fruit. 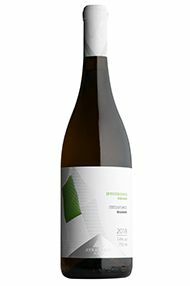 There’s an engaging saline lick and ‘olive pit’ bitterness to the finish, as well as the finesse and freshness that are hallmarks of the domaine. I enjoyed this at first sip, but fell in love with it over a plate of whitebait. This indigenous variety was salvaged from extinction in the 1990s by Lyrarakis. Now grown in the spectacular 1.5-hectare Psarades vineyard, sitting at almost 500 metres’ altitude, this is the only 100% Plytó in commercial production. It offers aromas of white flowers, orchard fruit and wild herbs. Bright, zesty acidity couples with perfumed fruit on the palate. The finish is delicate and subtle with flecks of rosemary and lemon pith. This would pair perfectly with Calamari and lemon aïoli or crayfish. Ready to drink now. Lyrarakis’s Armi vineyard is situated on a steep mountainside, influenced by cooling easterly winds. Aromas of yellow flowers and stone-fruit entice on the nose. The palate is expressive and concentrated with notes of fresh nectarine, orange peel and coconut. Fermented in oak barrels and matured on its lees, there is a rich, textural quality and superb length. A fitting accompaniment to fresh seafood and fish dishes. Drink now to 2024.